The pictures aren’t great, but the quilt top is finished! 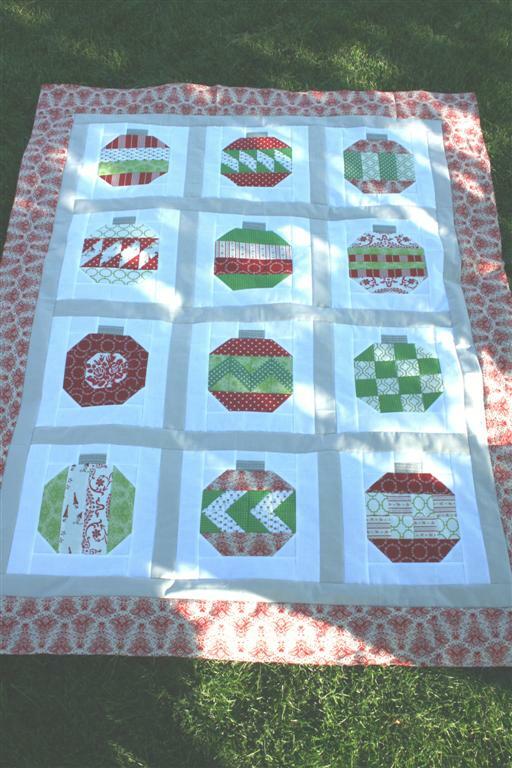 Simple sashing and borders were a relief after wrestling with octagons. I’m very happy with this quilt and hope to make one or two more of the same pattern but in different colorways. On the bottom row, I swapped blocks 10 and 12. 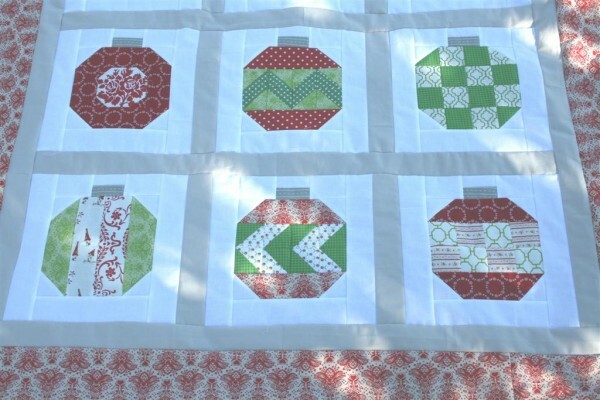 I wasn’t laying the blocks out when I made number ten or I would have used different fabric choices because of block 7. I didn’t like the two blocks with the darkest red right next to each other so the switch works for me. Because I’m making this entire quilt from scraps, I was thrilled to have enough yardage for the outer border. 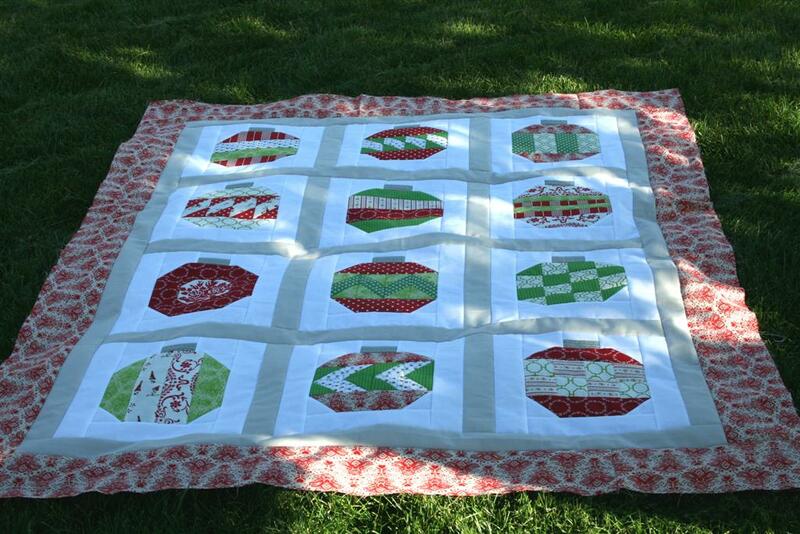 It’s totally strange to be taking pictures of a Christmas quilt on my green lawn, but I’m so happy to be getting this done now. On to the backing and basting!